Since the late nineteenth century, post-tsunami survey teams have been collecting water height data (e.g. maximum inundation, runup, flow depth) as well as other types of data, including geologic and socio-economic effects. The NOAA National Centers for Environmental Information (NCEI) and co-located World Data Service (WDS) for Geophysics provide data management and access to global tsunami data. NCEI’s Global Historical Tsunami Database includes information on over 2200 tsunami sources and over 26,000 runup points. The tsunami database has adapted to capture the advancements of post-tsunami survey data collection and distribution methods. The first International Tsunami Survey Team (ITST), which surveyed the impacts of the 02 September 1992 Nicaragua tsunami, spurred the formalization of standards and guidance for post-tsunami surveys. The post-tsunami survey data analyzed are a significant contribution, in quality and quantity, to the runup database. The 26 December 2004 Indonesia and 11 March 2011 Japan events alone account for over 25% of the total number of runup points in the database. Further, the analysis indicates that post-tsunami survey data capture a more complete representation of the tsunami that is being documented, not just the highest runup measurements. This range in post-tsunami survey runup heights for events, in the NCEI/WDS tsunami database, provides a more reliable historical tsunami dataset to test tsunami models against. This study also provides readers an understanding of the evolution of the tsunami database, particularly regarding the ongoing need to adapt to emerging scientific advances and standards. The manuscript was improved by valuable comments from Emile Okal and an anonymous reviewer. We thank the many colleagues at the NCEI and ITIC who provided us with the resources needed to conduct this study’s analysis. NCEI (http://www.ngdc.noaa.gov/hazard) and the ITIC (http://itic.ioc-unesco.org) are committed to delivering data and information that enables informed decision-making and supports multiple uses of data. Most of the data in the NCEI archive are within the public domain and may be used without restriction, although users should cite data sources. These data can be searched via web maps or text interfaces by attribute (date, location, magnitude, etc.) and displayed as tables, reports, interactive maps, and imagery. Additional details of the archive are described by Dunbar et al. (2008). National Centers for Environmental Information/World Data Service (NCEI/WDS). (2019). Global historical tsunami database. Natl. Cent. for Environ. Inf., Boulder, Colo., https://doi.org/10.7289/v5pn93h7. (Accessed 27 March 2019). Satake, K., Rabinovich, A.B., Dominey-Howes, D., & Borrero, J.C. (2012). Introduction to ‘‘historical and recent catastrophic tsunamis in the world: Volume I. The 2011 Tohoku Tsunami”. 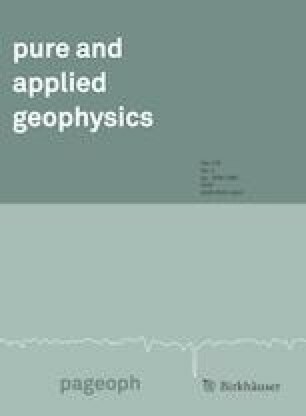 Pure and Applied Geophysics, https://doi.org/10.1007/s00024-012-0615-0 [Special issue with a number of studies of the Tohoku Tsunami]. Yalçıner, A., Annunziato, A., Papadopoulos, G., Dogan, G.G., Guler, H.G., Cakir, T.E., Sozdinler, C.O., Ulutas, E., Arikawa, T., Suzen, L. & Kânoğlu, U. (2017). The 20th July 2017 (22: 31 UTC) Bodrum-Kos Earthquake and Tsunami: Post Tsunami Field Survey Report. Online report at: http://users.metu.edu.tr/Yalciner/July-21-2017-tsunami-report/Report-Field-Survey-of-July-20-2017-Bodrum-Kos-Tsunami.pdf.